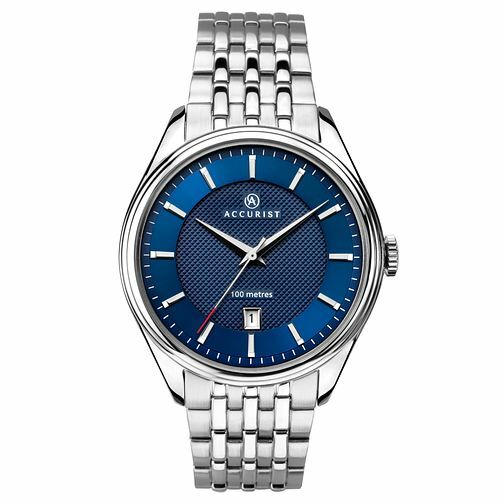 This Accurist classic sports men's timepiece features a stylish and durable solid stainless-steel bracelet and is water resistant up to 100 metres. It features a layered effect solid stainless-steel case, eye catching blue sunray dial with silver baton and date display. Includes 2 year guarantee.